After setting up everything according to the article, and when running the client I came across following issues. Observed above exception in java client side. - So checked the KDC (i.e. 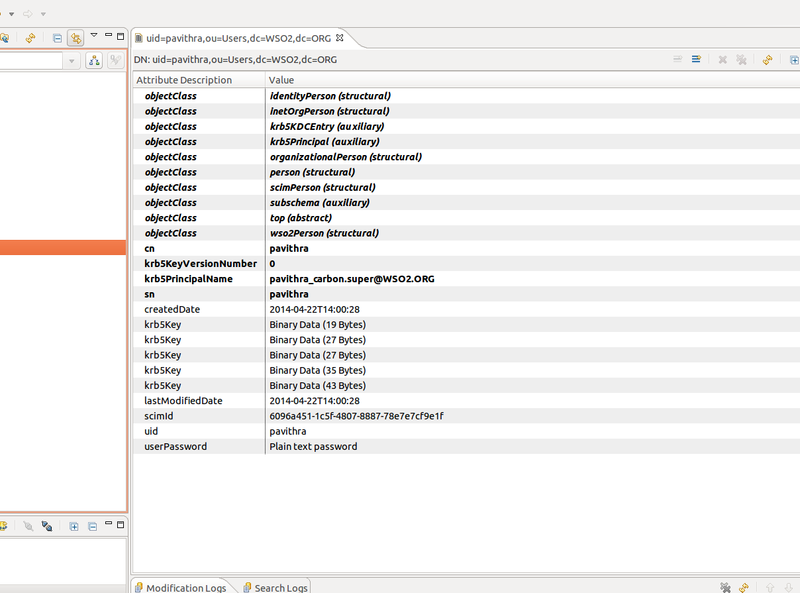 Embedded LDAP in Identity Server) through Apache DS browser to make sure that the client principal name has been added correctly. - Observed following error on ESB console. Hope this will be helpful for anyone who's trying the article "Kerberos Authentication Using WSO2 Products"
I've encountered same issue as yours. find the issue "carbon.super" as it adds after the name. right now i'm encountering a different issue with the Kerberos client. alredy tried with Java 6 but issue still persists. apreciate if you know anything regarding this. I followed all the steps, but I'm getting the similar exception  as the one you have mentioned in the ESB. Even though I run the client with java 6, the error remains the same. What could I be missing here?